Founded in 1996 with a single customer and one bandsaw, we’ve grown to service some of the largest OEMs and fabricators heavy truck, buses, hospitality, aerospace, manufacturing, and energy industries. We have the buying power of a conglomerate with a family-owned work ethic to give our customers the most competitive solutions for their applications. We work closely with our customers to provide high-quality carbon, alloy, aluminum & stainless tube, along with carbon and alloy bar. We’ve helped our customers reduce their rejection rates and decrease costs by providing better quality services than our competitors. For many customers, we’re a full-service partner that provides laser cutting, CNC bending, and sawing as well as turn key solutions that include welding and powder coating. We do more than just precision laser cutting, tube bending and sawing. We are partners that come alongside our customers with innovative ideas to drive more cost effective and efficient ways to produce components. Our extensive experience in tube laser processing gives us the expertise to help you enhance the manufacturability of your product and in turn enables you to be more competitive and profitable. We can take your concept and make it viable for application solutions. We’ve helped customers reimagine parts to reduce costs. Read the case study about rear bumpers of the Mart Cart we redesigned to reduce field repair time and costs. The repeatability of our laser cutting and tube bending makes the assembly process seamless. Read more about how we helped APC. With locations across the mid-south, we serve clients across the United States and Mexico—and what’s more is our investment in new BLM technology allows us to source from more than one of our locations to serve you and use the capabilities of our entire team across our company. Over 25,000,000 million components produced and still counting…. 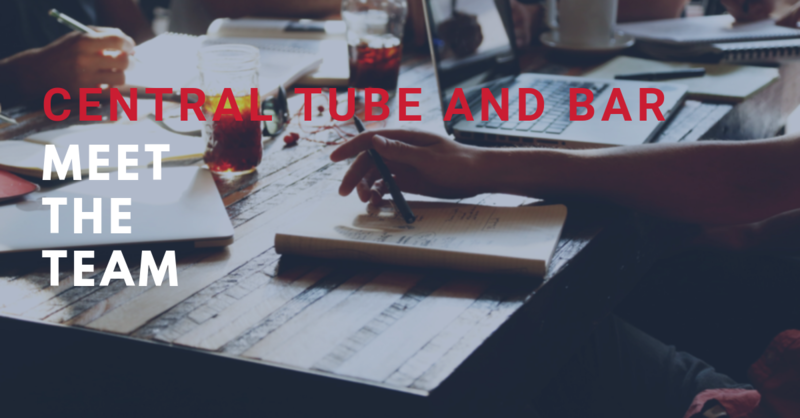 At Central Tube and Bar, we’re more than just a leading supplier and processor of high quality, prime tube and bar products, we’re partners with our customers to help them transform their supply chains and manufacturing processes. Contact us to learn more about how we can help your company transition to lean manufacturing processes, reduce waste, and improve the quality of your products. At Central Tube and Bar, our focus on high quality, precision components for our customers wouldn't be possible without our team behind the scenes. We're a dedicated group of individuals who bring their strengths together to produce superior value-added services to our customers. CONWAY, Ark., February 14, 2018 - Central Tube and Bar, a valued-added distributor and processor of tube, bar, and other metal products, has appointed Eric Chambers to the role of Chief Operating Officer. 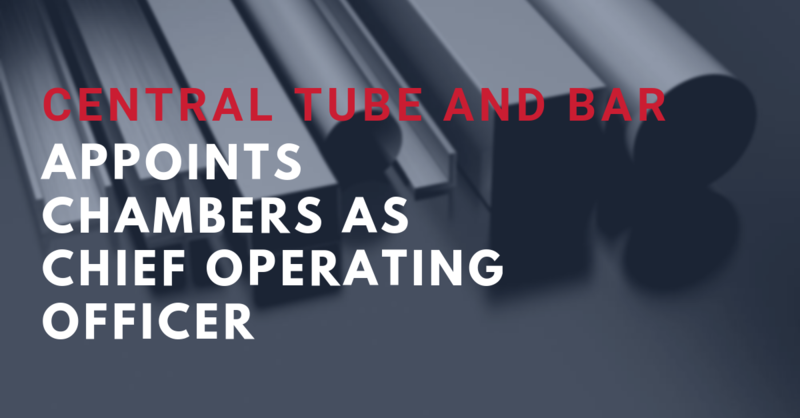 After 20 years of experience in the tube and bar industry at Central Tube and Bar, Chambers will lead operations and direct the company’s finance and administrative functions. 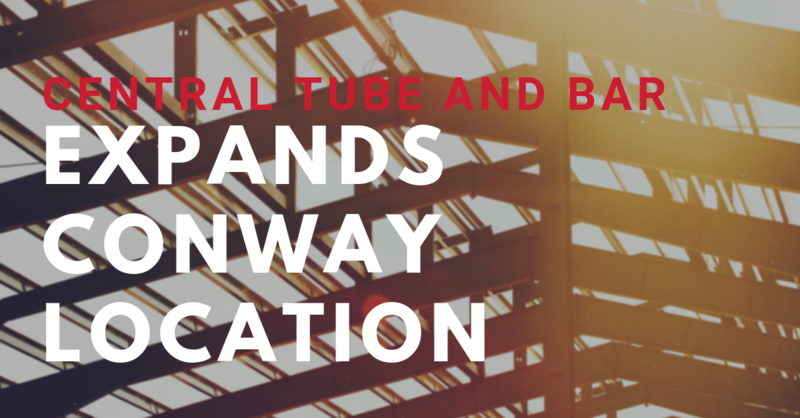 CONWAY, Ark., November 27, 2018 - Central Tube and Bar has expanded their Conway facilities to include a new 72,000-square-foot facility in addition to their existing corporate headquarters and fabrication facility on Middle Road. As part of the new expansion, Central Tube and Bar has also added a new BLM LT7 tube laser, the company’s 7th laser.